RCMP Media Release | UPDATE January 29, 2019 Jasmine Lavallee has been safely located. 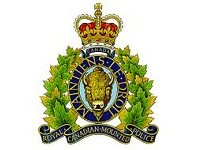 The RCMP thanks the public and the media for their assistance. Swan River RCMP Media Release | Swan River RCMP would like to remind drivers to abide by the school zone speed limits year round and that traffic enforcement of school zones will continue throughout the summer. The 30 km/h school zones in Swan River remain enforceable both day and night. Please drive safely.